FOR THE first time the annual clown service in Hackney will include a performance in church. Sunday 1 February 2015 is the date for this year’s commemoration of the father of clowning, Joseph Grimaldi (1778-1837). The Clowns International-run event attracts tourists and media teams from as far away as Japan and Australia. With the help of a long campaign by Loving Dalston, Clowns International has saved the clown service from cancellation. This year it will be held not at Holy Trinity as in previous years but at All Saints, a short walk away. It is also close to the Wellington pub. The Joeys, as Grimaldi’s successors like to call themselves, say the service will be a “light-hearted and merry affair, yet totally respectful”. 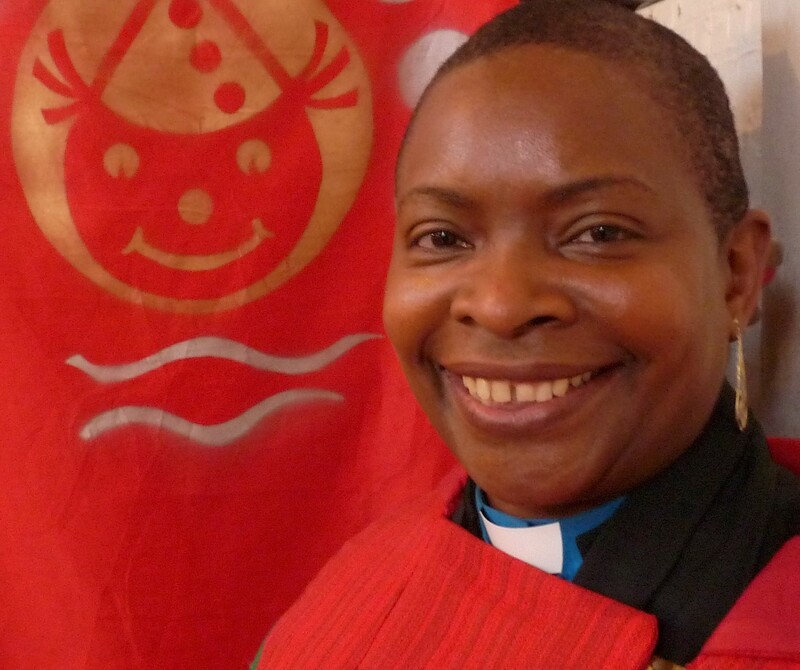 It will be led by the Rev Rose Hudson-Wilkin ,chaplain to the Queen and the Speaker of the House of Commons, and the Rev Simon Buckley, who works also as a puppeteer, will assist. Hudson-Wilkin, who established herself as a media favourite to be the first woman bishop in the Church of England, was assigned to a small City church last autumn 2014. Not long after the Reverend Libby Lane was named as the church’s first woman bishop. * The 2015 clowns’ church service will be at All Saints, corner Haggerston and Livermere roads, Hackney E8 4EZ, on Sunday 1 Feb at 3pm. Free entry but donations are expected at church services.